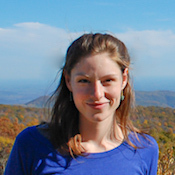 PLJV is happy to welcome its newest GIS analyst, Meghan Bogaerts, who joined the staff in November. In addition to helping PLJV update its landcover procedures to support landscape design, Meghan will also provide GIS support for the Lesser Prairie-Chicken Initiative. Meghan recently completed a dual Master’s degree in Natural Resource Informatics and Public Policy from the University of Michigan. As part of her graduate work, she designed and conducted surveys of cattle ranchers in the Brazilian Amazon to model relationships between management decisions and global carbon cycles. Prior to graduate school, Meghan worked as a program manager for the U.S. Green Building Council in Washington D.C. where she was instrumental in developing the nation’s first certification for sustainable communities.